“It takes more than a tap water rinse to dislodge E. coli and many other microbial squatters. Though high temperatures kill them, cooking is hardly a viable answer for lettuce, sprouts, and tomatoes that go into your fresh salad. For these and other foods that are to be eaten raw, consider another solution …suggests Susan Sumner, a food scientist at Virginia Polytechnic Institute and State University, in Blacksburg. While at the University of Nebraska (which she departed last month), Sumner worked out the recipe for just such a sanitizing combo. 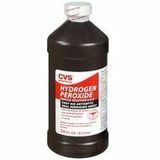 First, she squirts a vegetable with 3 percent hydrogen peroxide, the same strength available at the drug store for gargling or disinfecting wounds. She follows this up with a mist of mild acetic acid (vinegar). In truth, she says, which solution is sprayed first doesn’t matter…She uses 2 regular spray bottles. The solutions represent an adaptation of a chlorine-free disinfection scheme she had been working on for red meat, and which turned out to be effective for decontaminating carcasses. In the course of her more recent studies, Sumner found that vegetables not only tend to come from the garden or farm bearing far more germs than red meat does, but they also hold onto germs more tenaciously. Overall, most germs that show up on produce come from the soil and are benign. However, worrying that more toxic germs spread by feces could show up in organic foods fertilized with manure, and realizing there have been reports of Shigella on cantaloupe and Salmonella on raw vegetables, Sumner decided to develop a bactericidal treatment for restaurants and other purveyors of salads. What I really liked about this treatment,” she adds, “is that every [microbe] that drips off is killed.” So you’re not just transferring disease-causing contamination from your food to the sink, drain, or cutting board. 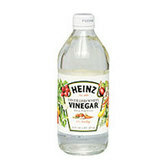 Speaking of which, she notes that the paired sprays work well in sanitizing counters and other food preparation surfaces – including wood cutting boards. Peters, D., Sumner, et al. 1996. Control of pathogenic bacteria on fresh produce, a paper (abstract #168) presented in Seattle on July 2 at the 83rd annual meeting of International Association of Milk, Food and Environmental Sanitarians.